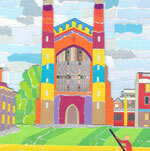 This is a very typically Cambridge scene... Kings College Chapel, the river, punting and a bike! 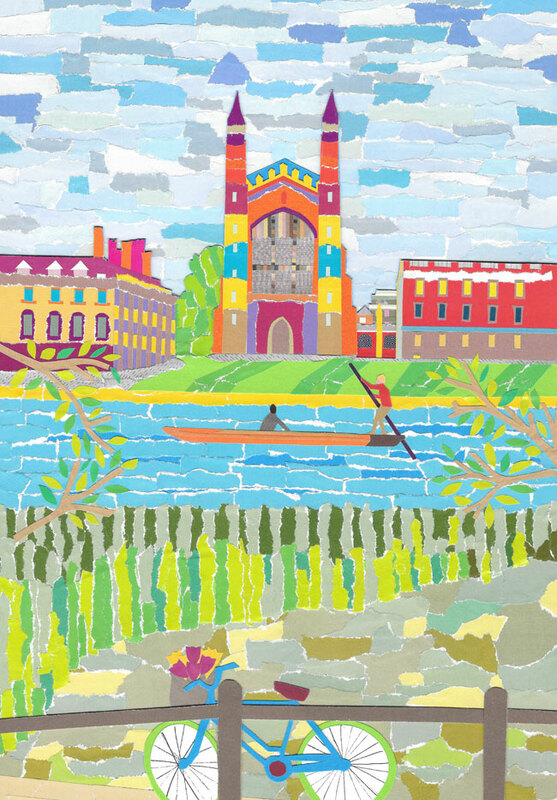 Every bit of the picture has been cut by hand using only papers recyled from magazines. 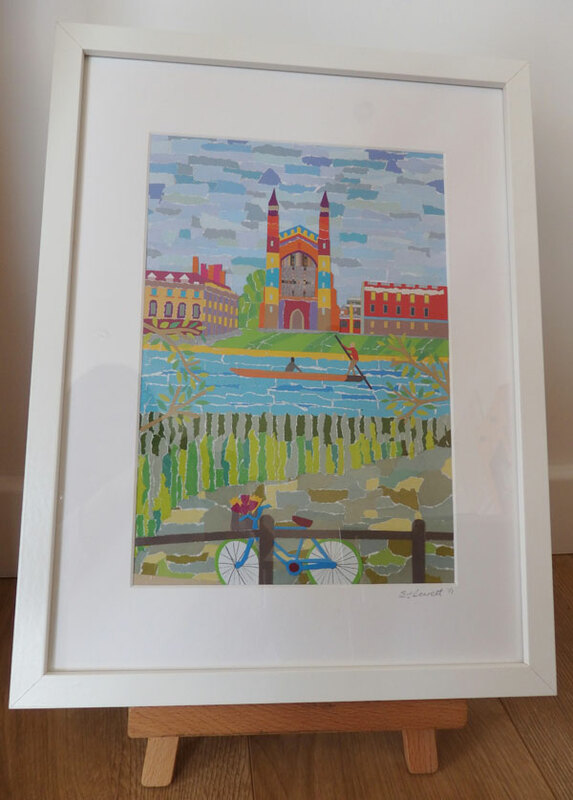 The original is available to buy at Byard Art Gallery in Cambridge, but can be bought here as a limited editon large print or print.